Earn up to 200 reward points. A stick with the durability of hickory and a balanced 5A/5B hybrid profile. 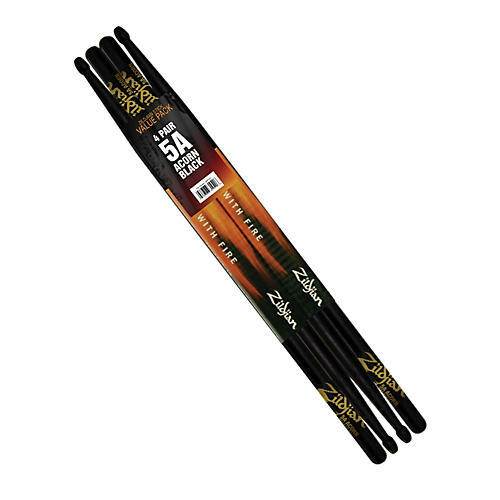 This Acorn Tip Hickory Stick by Zildjian offers a brooding black finish with an acorn tip for a darker, woody cymbal sound. Buy this three pack today and get an additional pair thrown in.